On our recent trip to Europe, I left the last day completely open and unplanned. 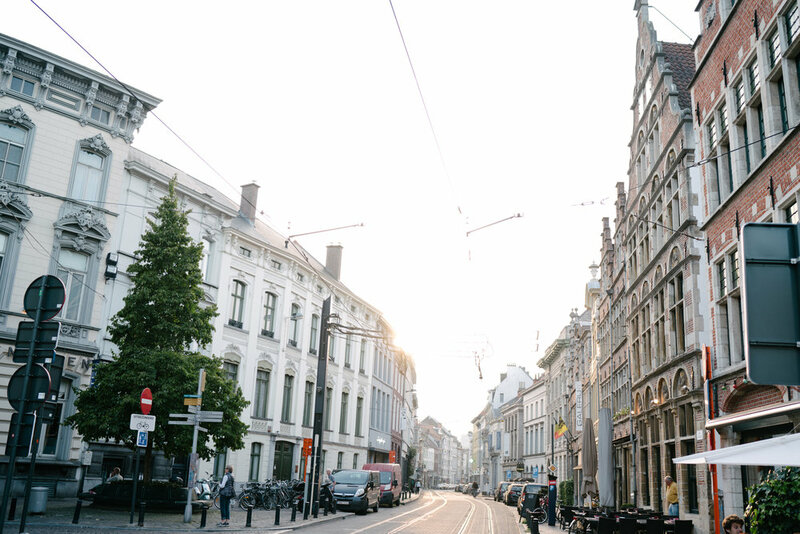 I am so glad we found our way to Ghent, Belgium because it is now one of my favorite cities. 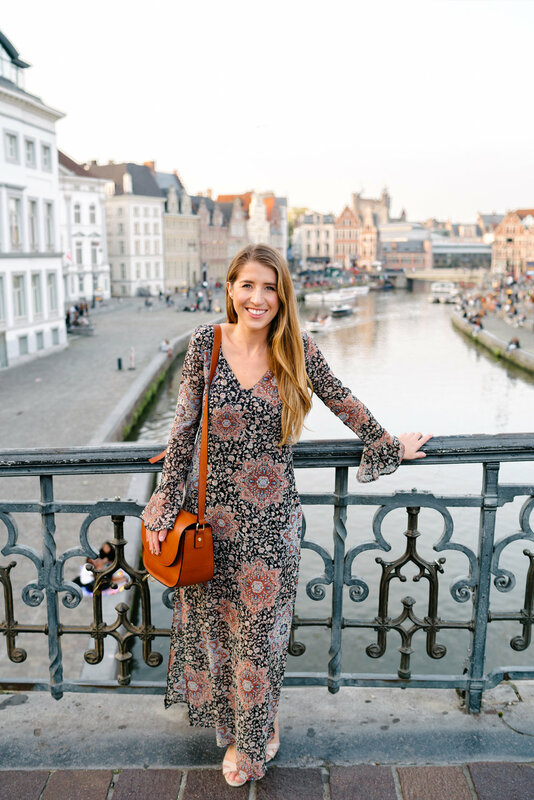 We were flying into Paris from Greece, so I gave Dan the option of staying in Paris one night and catching the Eurostar to Brussels for our flight home or spending the night in Ghent, a popular university town thirty minutes north of Brussels. When we arrived at Paris Gare du Nord, of course, Dan picked the option that gave us more time to get to the airport the next morning. He definitely made the right decision. 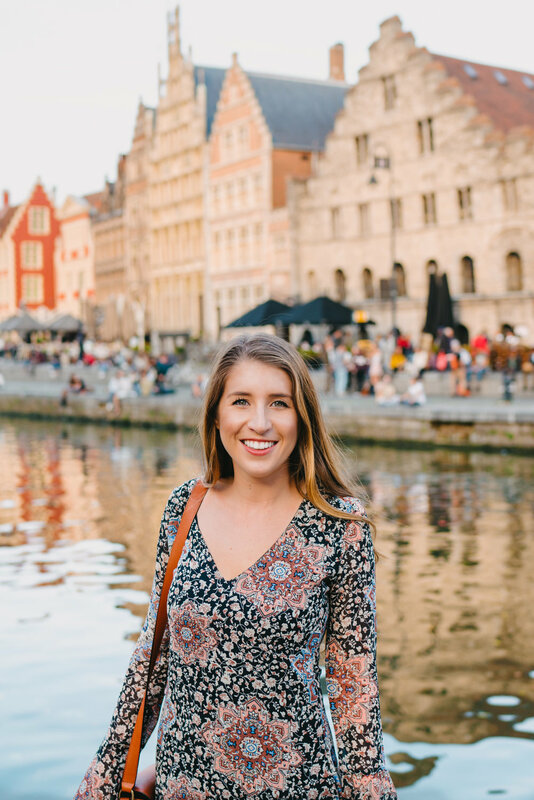 Ghent is such a beautiful town, especially in early Fall when we were there. The city is marked by the rise and fall of medieval courts, whose history is preserved in the architecture around the city. It is also a biking city, which I think helps keep the city so clean. Seriously, the number of bikes we saw was incredible. We booked a last minute stay at the Carlton Hotel, which is conveniently located right near the train station. The owners of the hotel are brothers and could not have been more accommodating. They provided maps of the city and went over all of the key spots to see. We didn’t arrive until evening so we rushed out into town to try and catch the last light. We walked through the gorgeous Citadel Park. 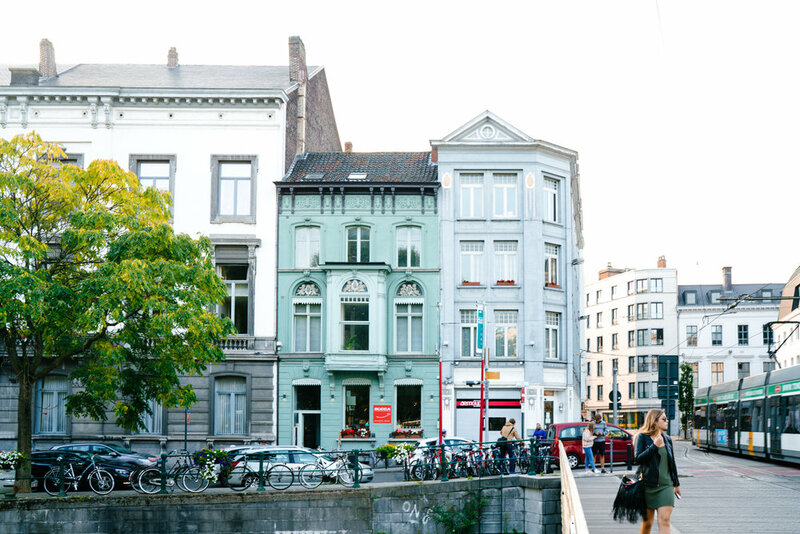 Then we followed the river through town to the stunning facades of the Korenlei and Graslei, two streets that run along the river and are lined with the pointed row houses Belgium is known for. We continued on along the river towards Gravensteen castle. The castle is open for visitors and you can actually climb to the top of the tower. Unfortunately, we had arrived too late in the day so we simply admired from the outside. 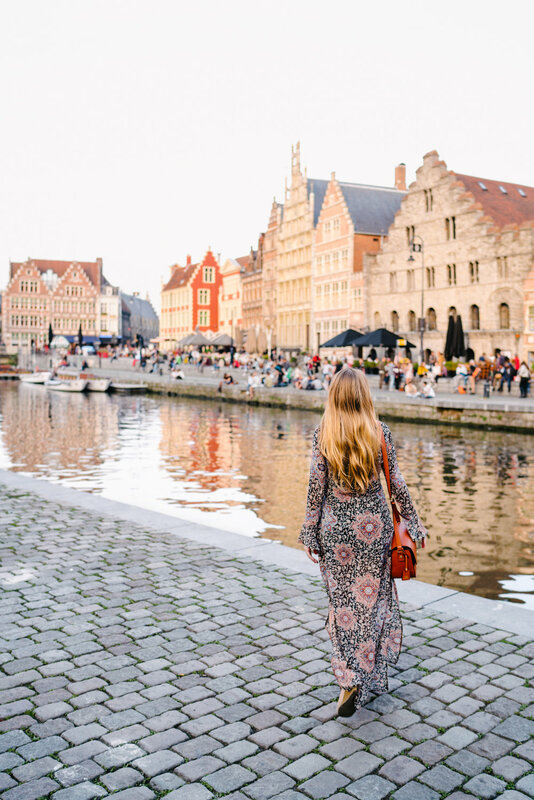 There is plenty more to see and do in Ghent, but I have to say it was perfect for the little time we had. As we walked through town, I noticed several cute cafes and shops that I would love to explore on another trip when we have more time. When we go back, we’ll be sure to rent bikes to ride around the city, spend more time learning the history, and drink wine along the Korenlei and Graslei like the locals do.